Electrical horns There are 3 products. 12 VOLT UNIVERSAL CUSTOM HORN. 14CMS. 12 Volt Grooved Horn. 9cms. 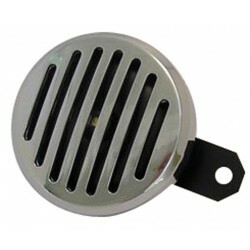 12 VOLT UNIVERSAL GROOVED HORN. 9 CMS. 12 Volt Universal Horn. 10cms. 12 VOLT UNIVERSAL HORN. 10 CMS.